1 package contains 20 Gr. Tape Ketan Starter, enough to make more then 3 lbs. 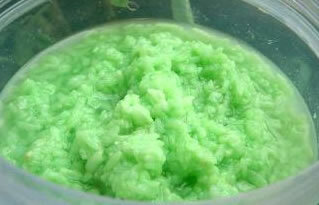 Tape Ketan is a fermented sticky [glutinous] rice prepared in Indonesia [ketan means glutinous rice]. Tape has a sweet taste with amounts of alcohol, somewhat resembling Japanese sake in essence. The amount of alcohol in tape is mostly dependent on the fermentation process or duration, but alcohol may range between 7 - 10 percent. 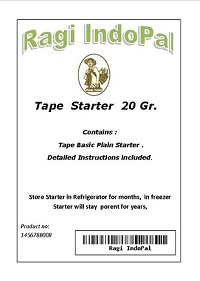 The sweet taste with amounts of spirit of alcohol of tape is the main features in tape's taste sensation and aroma. 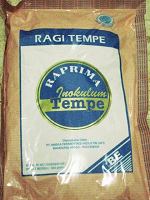 Tape Ketan is prepared by cooking glutinous rice with water, cooling and inoculating the cooled rice with crushe ragi yeast. The amount of ragi is added. 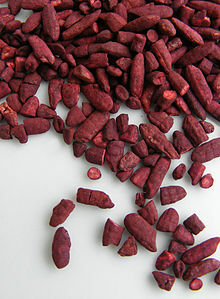 The ragi powder is stirred in the cooled rice-mix, and then the ingredients are placed in a covered bowl and fermented at room temperature [about 85 F] for 1 - 3 days. We include detailed instructions how to make Tape Ketan and produce more then 3 Lbs of delicious fermented Tape Ketan.